Discover the scenic beauty of the walkway around the Zobor hill and experience an active walking that strengthens heart activity – Nordic walking. On the first day of your stay, you will climb up the Zobor hill and attend a training of Nordic walking. The journey will start at the Svorad`s spring which is said to have miraculous effects. It supplied the Monastery of St. Hyppolitus with water for many centuries, today it helps the sick in St. Svorad`s Health Centre. 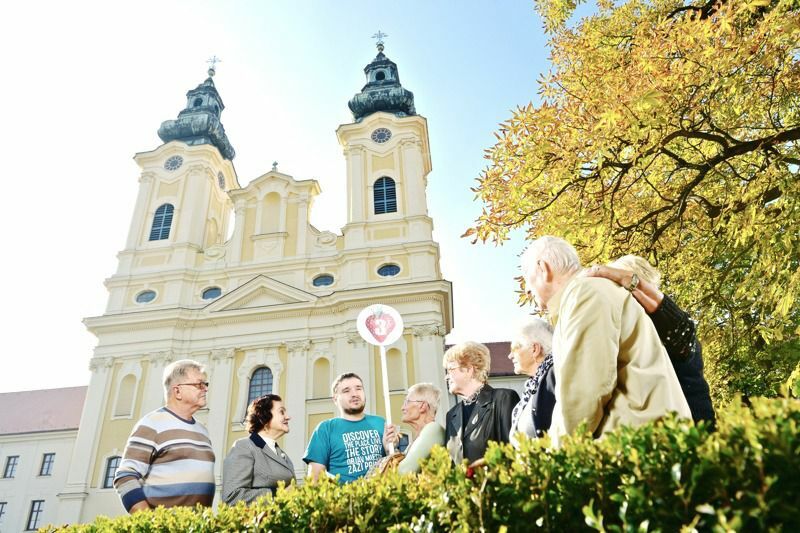 You will learn more about life of Slovak saints and see the 400-year-old cross above the cave from the demolished church of St. Jacob in Nitra. Picnic on top of the Tri duby hill with beautiful view of rare Zobor forest steppe, hills of Tribeč mountains and Gýmeš castle. We will not miss remnants of the Camaldolese monastery, where once lived the famous monk Cyprián. In the afternoon tasting of Nitra mead in 300-year-old cellar and visit of the Mead museum. Dinner, accommodation with breakfast in the city centre. On the second day, our guide in historical costume will reveal secrets of the Nitra Castle. Then you can relax with a cup of coffee and tasty dessert in the historical hostelry in the city park, the green oasis in the middle of the busy city.